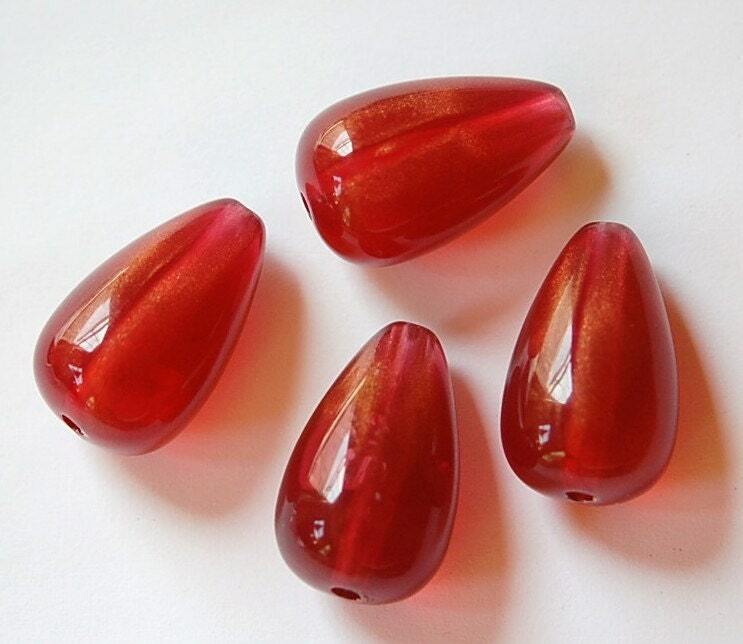 These are vintage red teardrop beads that were made in Italy. The original package these were in call the color red. The color looks like it has a bit of orange in it. They are semi translucent with gold details. These do have air bubbles in them. These measure 24mm long X 13mm wide. You will receive 4 pieces. Beautiful beads, fast shipment, thank you! Great products and service, love this shop!